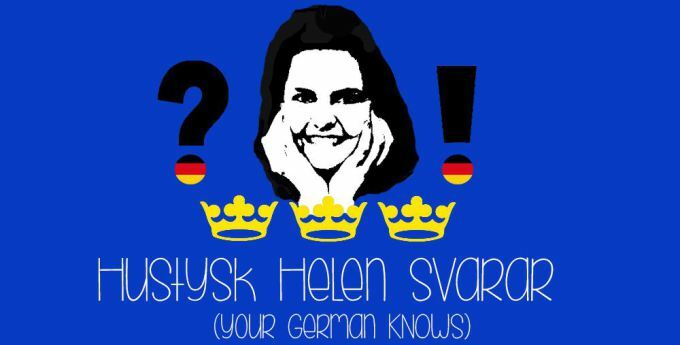 Hustysk Helen svarar: How do I display my affection to a German girl? If you are strolling on the streets of the Rhineland these days, you will find trees erected at random spots. Lovely birch trees decorated with colorful crepe paper and adorned sometimes with hearts saying, “Nicole” or “Julia”. You thought the reserved German would discreetly declare his love in a text? Privately tell his beloved how great she is? Swipe her right on Tinder? Oh, no, the Maypole custom is a public display of romantic interest if there ever was one! Everyone on the street knows someone loves you – and goes through the trouble of cutting down a tree for you to put it up in front of your house. So if your girlfriend doesn’t get the hint or is playing hard to get – why not try the German way and confront her with a tree! P.S. : Because regional differences are a big deal in Germany, Northern Germany follows a slightly different love tree schedule: there, the birches are put out during Pentecost and called Penecost Trees, not Maypoles. Hustysk Helen svarar: Am I a man? It has been a while since I last had a question to answer in this category but today your Hustysk is back! The reason is the German tax system. I know, that sounds really boring but trust me there is a lot of money to pick up from the German tax offices. Since my friend Kerstin who is a total tax pro helped me with declaring my taxes, I’ve become the person who peptalks everyone into filing their taxes, too. Actually, I started suspecting that the German state spreads the rumor that doing taxes is extremely complicated and super difficult in order to a) prevent people from demand their tax refund b) subsidize tax advisers. I mean, if half of the Germans, panic-stricken when just looking at the tax forms, decide to not take back what the state owes them, then the state has a lot of money left. How do I do my taxes if I am an unmarried woman? The German forms for tax declaration only two fields: A – the subject to taxation/husband and B – wife. The whole system assumes that you are married and that it is first and foremost the male spouse who has an income. And of course, the couple is taxed together, not separately. German tax law also supports the houswife marriage with its Ehegattensplitting law from 1958. I find it complicated, but I guess in a nutshell, it means if one spouse earns more (which in Germany is almost always the husband), tax law rewards the couple if the wife does not work at all. It’s literally financially better for the couple if the lesser earning wife just stays home. Welcome to 2016. 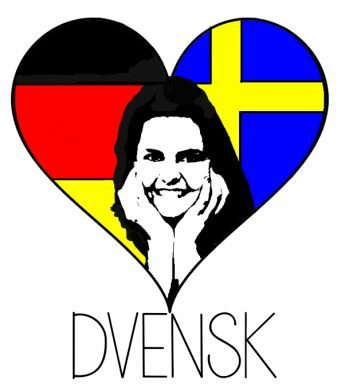 If you grew up in Sweden, like my co-worker, this all is rather puzzling. Do I need to change my gender identity to declare my taxes? Am I a man now? Should I be a man to pay taxes? Are all working Germans men? The answer is, kind of, yes. If you are a single working woman, German bureaucracy is implictly asking you why are you not married and explicitly asking you to identify as a husband until you get married and then you get to move to position B, regardless of the fact that you might be the person who has the higher income that is interesting to the tax office. Congrats, Germany just made you a husband! Hustysk Helen svarar: Can I say you to you? German knows basically two ways of addressing people: the informal du (“you”) accompanied by the first name, and “Sie”, the formal designation that usually is followed by a “Ms/Mr” (occasionally also with a first name which is then referred to as “Hamburger Sie”). So far, so difficult. But who do you address with Sie (“siezen”) and who can you call du (“duzen”)? Some German learners prefer to siezen everyone because that way you don’t have to adjust the verb but can use the infintive all the time. However, siezen and duzen has so many social implications that it is important to choose the right form – even if it is a conjugational hassle. The general rule in Germany is: you say Sie to everyone that is – or looks – older than, say, 16. Except if you are the same age group. A 19-year-old who says Sie to an 18-year-old appears rather ridiculous. In high school, from the age of 16 onwards, teachers call you by your first name and Sie. (Students always call teachers Ms and Sie. Actually, I even spoke to my kindergarten teacher as Frau Zimmer and Sie.) At university, professors refer to their students on a last-name-basis with a Sie. The Du has then become the address for the underage and you have acquired Sie privileges. Consequently, children are always to be addressed with du. In professional environments, you should always – always – start by saying Sie to people. Changing to the du is possible, and common in some fields, but the du must be offered by the person that stands above you in hierachy and age. An intern meeting me can only say du to me if I introduce myself with my first name only. At the same time, I must say Sie to my boss or client until they suggest the du. There are tricky cases, like when the boss is younger than you. But maybe then the Sie-Du-question is not your biggest problem. Also, at company parties it might happen that you, tipsy thanks to free drinks, end up saying du to your similarily intoxicated co-workers. But beware – this might be nullified the next day, and you’re back to Sie. If you meet new friends, you can pretty much be sure that it is okay to say du to them. At parties and similar social gatherings, age and hierachy is less important. In your choir, it is perfectly acceptable to say du to your fellow singer even if he is 20 years older than you. The friend-rule does not apply when it comes to your friends’ parents. Yes, there are many parents who are fine with you calling them Helga and Horst and saying du. This is, however, not something you should assume. If you start of with Herr Schnarrenberger and Frau Schnarrenberger, you are on the safe side, showing respect and good manners. If you marry a German, your in-laws will sooner or later ask you to say du to them. But give them the chance to do so, thus exhibting your detailed knowledge of linguistic subtleties. The German practices of Sie and du sound complicated. But really,they are practical indicators of both status and intimacy. Being offered the du means something. Honoring someone by saying Sie expresses your apprecation. If you need to distance yourself for some reason (Ingrid’s example: “getting molested on public transport”), you can respond to someone who says du to you by siez-ing back, thus creating a clear “we’re-not-friends”- demarcation for them and others around you. The German language is beautifully versatile if you get the hang of it. Oh, and to answer the question: your roommate falls under the “among friends” rule. Yes, you say du to her. If you don’t want to provoke a laughing fit.